In case it wasn't already clear, Sluttery HQ is run on tea. Even in a heatwave I can't give up the habit. Don't take my tea away from me, I will fight you for it. And frankly, it'll be a horrible sweaty fight right now, let's just sit in the shade and have a brew instead. When Laura B wrote about Eteaket last week, I got all in a fluster (no, not because I was drinking scalding hot tea in 30 degree heat). But then Eteaket *gasp* hiked up the price of their yearly membership by nearly 100%. Ouch. Luckily Twitter informed me about Love Tea and I'm pretty impressed at first glance. You've got three options to choose from, depending on how much tea you drink (I am not a reliable case study for this). If you only have the odd cuppa, £4.50 a month will get you 50g of lose tea - enough for around 15-20 cups. £7 will get you double that and £13 will get you 200g of the leafy stuff and that's enough for 70-90 cups. You get a different tea each month, so I'd be tempted to opt for the first option as something of a treat. That way I can try new teas but not give up my (frankly out of control) English Breakfast habit. And there's no commitment. If you're done with your tea exploring or have an enormous phone bill to pay, you can stop your tea deliveries at any time. That's my favourite thing about postal services - I have a hard time committing to anything, let alone stuff in the post. 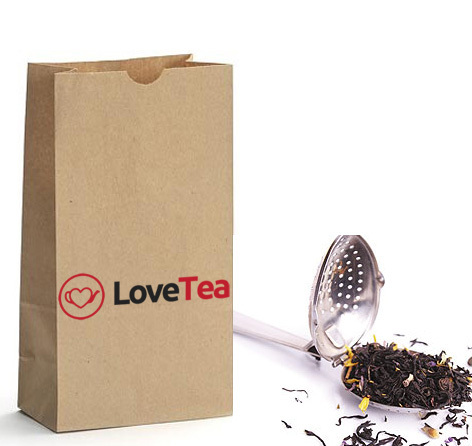 I'm really excited about Love Tea, I can wait for my first package to arrive. Also, hang on, I've never seen a .co web address before! I'm genuinely excited about this. Er, and the delicious tea, obviously. Yeah, that's definitely the focus of the piece. It did! Sorry, I favourited the link and not your tweet and couldn't find it. All credit to you and your tasty tea finding skills. Really disappointed in this company. Of the four months I was subscribed, I got teas twice. When the January one was missing, I tweeted and emailed them—two weeks later, and they hadn't replied. When they finally did, they said it was fine at their end-- but turned out they'd got the address wrong. The irritating thing is, they could have seen if they'd bothered to look at the address, that they'd mucked it up-- they'd put two different street addresses on it at once which is the sort of thing that anyone could see just by looking. I emailed them to point it out—they didn't apologise, but did tell me that they'd correct it. Took out payment for February before having sorted out January's missed tea. They did reimburse me, but I didn't get my February tea either—again, emailed them, didn't get a response for another ten days, when I chased them again. Unsurprisingly, I've now cancelled. At that point, I cancelled. Basically, very shoddy customer service. Of the teas, the first one was a nice nilgiri, but the second was one of those novelty kind of teas-- sweetened, flavoured, nothing like the kind they have on their website.